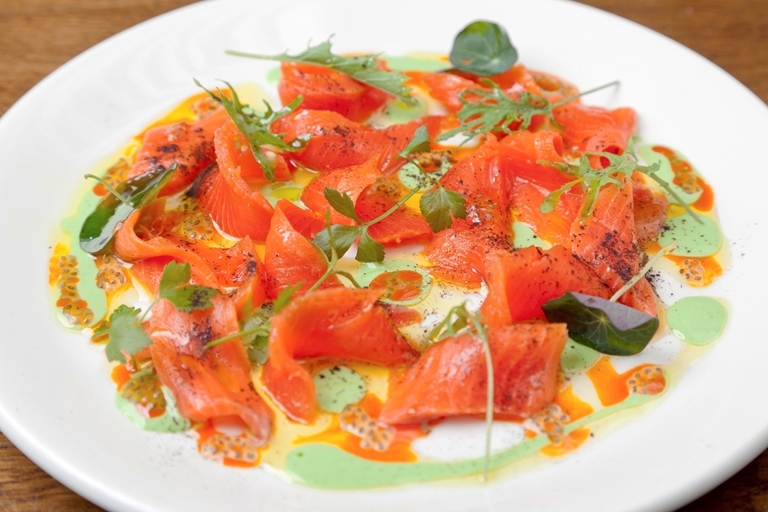 Robert Ortiz's salmon tiradito recipe is true to the chef's Peruvian heritage. Leche de tigre, or 'tiger's milk', originated as a by-product of making ceviche, but Robert's is made from scratch and blended with green rocoto chilli paste to add some heat to this fresh-tasting dish. Robert Ortiz is a pioneer of Peruvian cuisine, bringing the heady flavours and bright colours of his native country to an appreciative European audience.